Welcome to the Riverwest Investment Cooperative (RIC). We invite you to learn about us, our mission and our projects, and that you will be inspired to ask questions, make a commitment and join us in our work toward improving the Milwaukee community one block at a time. RIC was founded in June of 2003 by several residents of the Riverwest Neighborhood with the hopes of creating an investment vehicle for neighborhood residents to participate in the development of our community. The first cooperative of its kind in the nation, RIC has successfully tackled projects and continues to survive through a tough local and national economy. 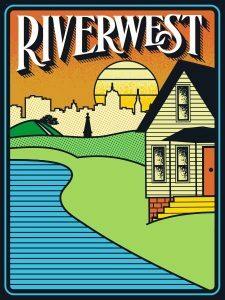 The Riverwest and Harambee neighborhoods were settled in the late 1800 by Polish and German immigrants, moving here to live near jobs available in the vibrant manufacturing and business development along the Milwaukee River and Humboldt Blvd. These immigrants worked together to create a foundation of close knit community, surrounded by their churches, stores, recreation and fraternal opportunities. Their community strengthened and grew strong roots. The larger economy and trends have shifted the life of both neighborhoods significantly since then. In the 60’s, a diverse set of new neighbors began moving in. Riverwest became popular with Milwaukee’s counter-culture and artist communities. Puerto Rican and African American families nestled into homes along Holton. By the mid-1970s, the once German neighborhood west of Holton had become primarily African-American. 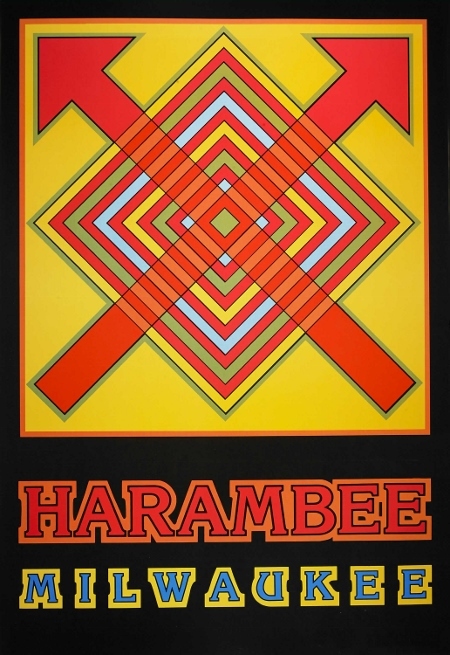 The residents named the neighborhood Harambee, which means “all pull together” in Swahili. 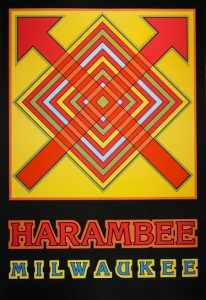 The next two decades would see Harambee organizing active block clubs, protesting school and housing segregation, and developing social services for those in need, working to reduce crime and supporting the arts community. Together, Riverwest and Harambee contain almost 24,000 residents. To the east, Riverwest is approximately 16% Black, and 67% white. To the west, Harambee 82% Black and 5%) white. Both neighborhoods are around 10% Hispanic, with much of MIlwaukee’s Puerto Rican population living along the Holton Street corridor. But Holton also represents a severe economic divide as well: in 2013, average income west of Holton was $24,975; east, $36,520.